When you combine passion and skill in your career, nothing can stop you from soaring. 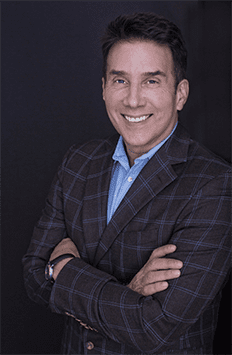 Shawn Ellis, founder and CEO of The Speakers Group, talks about being able to find an outlet for his passion for his personal and professional development in the meetings industry. His clients have included Fortune 500 companies, trade associations, and healthcare organizations. His story about his journey, experiences, insights, and strategies are definitely worth sharing to serve as inspiration for people to be unstoppable. Our guest is Shawn Ellis, the Founder and CEO of The Speakers Group, which represents top speakers around the country. He said that he has a special gift for the listeners, which includes not one but two gifts. The first one is you can download his free eBook, Unstoppable, which is all about your mindset. He’s giving us the ability to download his positioning worksheet which helps you answer the questions, “Who do you help and what problems do you solve and what makes you unique in the workplace?” Shawn never expected to find an outlet for his passion for his personal and professional development in the meetings industry, but he did. Since 1999, he’s enjoyed helping meeting planners and business leaders secure top speakers and thought leaders for their events. After helping to lead a natural speaking bureau to become one of the 50 fastest growing privately owned businesses in Tennessee, he sent out to work with a smaller select group of speakers in 2003 and founded The Speakers Group. Through those years, his clients have included Fortune 500 companies and trade associations and healthcare organizations. He’s earned the reputation of being consistent, knowledgeable, trustworthy. He serves on the board of the International Association of Speakers Bureau. In fact, he was the president for his service back in 2010. He lives in Nashville and enjoys all of the things that someone who lives in Nashville is all about, which is music and enjoying the outdoors. Shawn, welcome to the show. John, thank you so much for having me. It’s been an interesting journey. I never imagined landing in this industry. I got a call from the owner of a Speakers Bureau. I was just out of college and I was happily employed. I had my five-year plan mapped out and all that thing. I got a call from somebody at the Speakers Bureau. Being in Nashville and having a little bit of music background myself, my first thought was, “It must be something related to bands and music and sound speakers.” I went in for the interview and had these conversations and I was intrigued. I look back on it. The more years go by, the more of the pieces of the puzzle fit together. I’m thinking back to when I was a kid and my dad had the Nightingale Conant tape sets on the top of our console TV. I remember seeing Zig Ziglar and Tony Robbins. As a matter of fact, I’ve got some of those tapes sets in my office now that they cleaned out their house. They asked if I want it and I said, “I’ve got to have those.” It’s funny though. As a kid, I didn’t pay that much attention to it, but it was there. To go on and end up working with some of the people who were on those tapes sets, those are many of the legends living in and passed in our industry now. It all fit together as far as me branching out and starting speaking on my own in addition to working behind the scenes with speakers. I was the shyest kid in school growing up. I never imagine that I would get onstage and speak to people. It just brings it all together. Now, I couldn’t imagine doing anything else. It’s been an interesting journey to get here. You have to pitch speakers all the time to clients. Since this is The Successful Pitch, let’s start there. How do you distinguish yourself from other people that are pitching speakers? When I look back on all the years doing this, the one thing that I’ve learned how to do well and the thing I do most consistently is pitching and positioning speakers. That’s where it begins. Talking with a client, getting to understand their event, their needs, their budget, and all those details and then recommend the right speakers for them. For me, it’s all about figuring out what is right for them and then connecting the dots and going through my existing network of speakers. Sometimes if their needs are a little obscure or different than the zone I usually work in, it’s tapping into other resources in the industry, colleagues and other agencies or whatever the case may be. I try not to recommend more than three to five max speakers at a time. I try to keep it to three just because anything more than that, we know it gets into analysis paralysis and just gets overwhelming. How To Be Unstoppable: In becoming a professional speaker, it’s better to have a book than not have a book. I try to go to them with three speakers where each one is different. Each one I believe would be outstanding for further event and I’ll make the presentation. “Here’s why I’m recommending Bob or Joan or John,” whoever it might be. I’m pulling out my experience with the speakers to go along with their bio, their video, and all that stuff. You can find that anywhere on Google. Google has all that index. 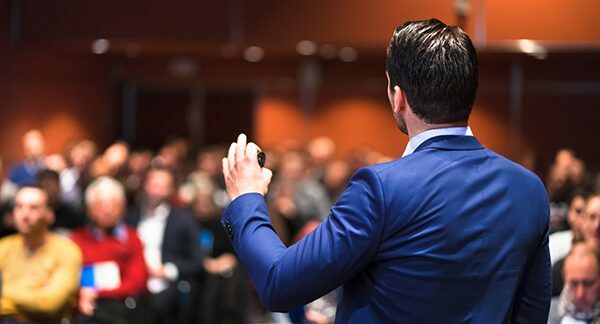 I help them see, “Why is this speaker the right speaker for our event?” Knowing that they’re going to want to make that final decision themselves. That’s why they don’t call on me to tell them who they should book, but to at least narrow the list to three strong candidates. I’m like, “You can pick any one of these three. It’s going to be outstanding, but which one resonates best with you.” They still got that freedom there. People will say, “I want to talk to these five people you’ve put in front of me.” You take it a step further and help coach the speakers that work with you on what to say on those calls. Is that correct? That’s part of it. It’s twofold there. One, all the speakers I work with, I want to help them be as successful as they can be but also I want to maximize the value of that time for our clients. When they get on those calls because they’re taking valuable time. Whether it’s talking with two speakers or three or however many it may be. They don’t want to get on those calls and just get into a pitch fest with their speakers or something that feels like the speaker is just selling themselves. 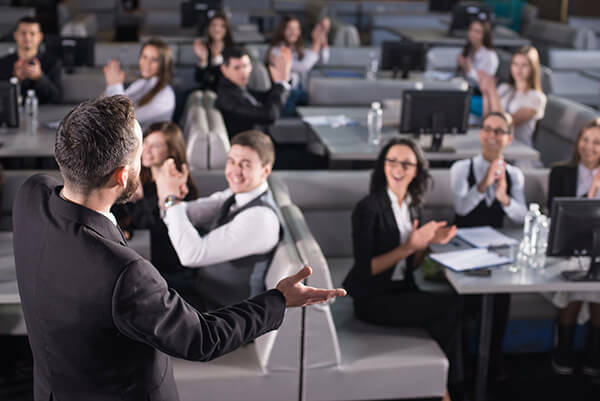 It’s about how to have a real conversation and helping the speakers understand and give them a little bit of an insight into the meeting planner’s world. Help them identify the parts of their expertise or background that are going to be the most relevant to any given client. Part of that is, they’ve trusted you to do that. What you are good at is telling a personal story of why you trust that speaker. Can you give us an example of that? First of all, I’ve got to trust the speaker. As I’ve told speakers and clients, if I recommend a speaker to a client, my reputation is on the line. Being in the business this long, that’s one reason I’m still here. They’ve learned that they can trust me and trust the speakers I represent. For example, you helped me launch my speaking career to another level. When I was speaking near you, you took the time to drive and come hear me so you could personally see how the audience responded as opposed to just watching my sizzle reel. How To Be Unstoppable: You would rather have no demo reel than have a bad demo reel because you never get a second chance to make a first impression. I’m constantly talking about the importance of telling a great story. You’re a great storyteller and pitching people who are storytellers. That’s what most speakers do. It’s fascinating to me to see your process of having to sell them to hire you versus another bureau. You have to sell them on which speakers you think are the best fit and why and help them get that through a committee. The person they hire has to deliver a great story that’s not just entertaining. It’s got to have some actual valuable takeaways that are going to make an impact on their bottom line to justify the fee. It’s a whole series of things that have to happen to make your business soar and take off. A lot of speakers get stuck and you help them get unstuck. How do you do that, Shawn? There are different components of getting unstuck and different people might be stuck in different places. Sometimes it’s self-doubt or just believing in themselves. There are two ends to the spectrum. Some speakers come to me and they are so confident. They know they’re the best thing in the world and we have to reel that back in. They may be right, but I’ve got to tell them, “You’re one of ten, twenty or hundreds of speakers that any given clients are looking at. We’ve got to make sure we can put this in the language that matters to them.” In other cases, it’s speakers that feel intimidated because there are so many speakers out there and they feel like, “How am I ever going to cut through? How am I going to break through the market?” That’s for speakers who were early in their career and those who have been around for a while. They’d come to me and they say, “The market is more crowded than it’s ever been.” They’re feeling a little uneasy about this. The most popular topics, the sales motivation, leadership, these are basic topics. There are only so many principals to go around, but every speaker has a unique angle. Everybody’s got their own perspective, their own experience and says it in their own way. There’s a need for everybody out there. Sometimes that’s the part of getting a speaker unstuck. It’s helping them uncover what is unique about you. It goes back to the story because it is helping them connect with their own story. If you just go out and say, “Here are the top seven principles to succeed in selling,” chances are they’ve heard a lot of those principles before. What connects those principals together is uniquely you. Sometimes it’s helping speakers see that, which then ties back into them. It’s helping them make their pitch to show how are they unique and how does their uniqueness serve their client. That’s where it all comes back to helping the speaker knows. In sales, we always hear the most popular radio station, WIIFM, What’s In It For Me. It’s helping speakers translate what they’ve got, which is so valuable into presenting it in a way that makes sense to the client. You’re able to identify who you help and what problem you solve. You’re using stories as a tool to get people to see themselves in the story that they feel like, “You have empathy for what I’m going through because you’re telling a story that’s relevant to me.” It’s a whole way to differentiate yourself from everybody else in the pack. It’s helping them see themselves in that story and see what’s possible to use your imagination. You bring out the power of storytelling and help your clients power up their storytelling because there’s nothing like it. For people who are possibly interested in becoming a professional speaker, let’s go through some of the criteria for social proof. How important is it for someone to have authored a book in starting their career? That’s a question that I get often. It’s better to have a book than not have a book. It’s not a requirement to get into the game. There’s plenty of speakers out there who don’t have books, but it takes your credibility up a notch for sure. The success of the book, the longevity of the book, all that plays into it as well. It helps with credibility. The other thing that it helps with is it gives people a chance to get to know your expertise and to hear your story. 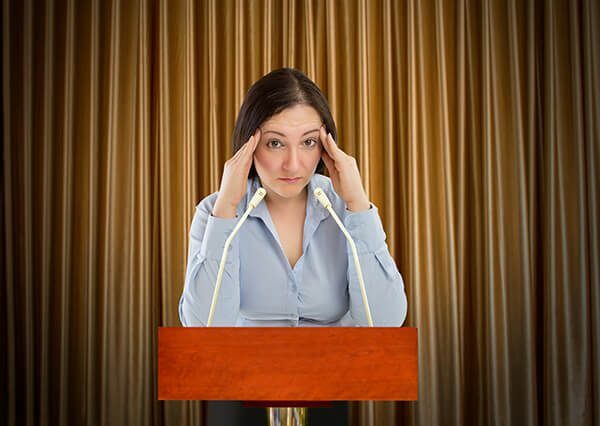 When they bring you in to speak, they haven’t just seen a five-minute demo video and read a couple paragraphs, but they have a better idea of your range of expertise. It’s not only about getting you jobs on the front end, but it also adds that much more depth to the events that you do. 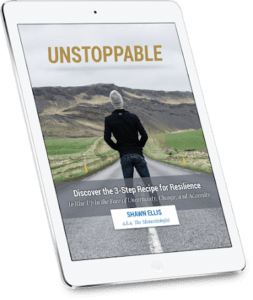 How To Be Unstoppable: Everybody’s got their own perspective, their own experience, and says it in their own way. Within the word of authority is the word author. Whatever you’re the author of, it creates you as the authority of that topic. That’s the relevant aspect of that. What about giving a TEDx Talk? Does that help someone’s credentials as a speaker? It depends on the space that they’re in and the topic of their TED Talk. There are so many TED Talks out there and all these different topics. They’re all just brilliant. They’re so interesting to listen to, but not all of the TED Talks tie into the speaking market. You can go out and speak on anything, but it also depends on what do you want to speak about, what do you want to get paid to speak about. Do you want to get paid to speak? Getting paid to speak is a whole different genre from somebody that goes out and does community education talks. That’s what would factor in on the TED Talk. What is the topic? Does it tie in with what’s a marketable topic for organizations? The notoriety of the TED Talk, the popularity of the TED Talk, that factors in as well. I know your TED Talk. I saw you had over a million views. When you can say that you’ve got over a million views on your TED Talk, that’s something I should pay attention to. That factor is in as well. I would say all of these spokes on the wheel. The more of these things you can put in place, that much stronger you are. If I’m pitching a speaker, if I can say, “Look at John, he’s the author of this book. He’s got this TED Talk.” That will elevate your position. You mentioned a demo reel, which you send out with a description of the speakers you’re recommending from your list of people who are on your site. What are one or two key things that people should keep in mind when they’re creating a speaking demo reel? One of the things that I always tell with speakers is I would rather have no demo reel than have a bad demo reel because you never get a second chance to make a first impression. Once somebody sees that video of you if it’s not representing you in the way that you want to be represented, it’s going to be a lot more difficult. It’s difficult to erase that image from their mind to convince them that, “I know you just saw that video, but I’m better than that.” That video is all they’ve got to go on. That’s the first thing. Let’s say if you want to speak in front of 500 people, then if you’ve got a video that shows you in front of six people around a conference room table, that’s not going to translate. I would rather see no video than have a video that shows you in that light. Try to get a video that shows you in the setting that you want to be speaking in. That takes some time to get there and that’s all right to be patient with that or if you can invest the time and money and put something together and get the right video. Make sure it represents you well. Make sure that it shows the different sides of you because as we know, any great presentation is not always exciting. It’s not always happy. It’s not always sad or whatever it may be. A great presentation was going to take an audience through ups and downs. Maybe they’re not crying but at least it’s going to touch their heart in some ways. They’re going to laugh. If you can show some of those elements in your presentation or in your video, that certainly helps. The risk piece is a big one right there because as I said, my reputation is on the line when I pitch a speaker. Whoever hires you, their job is on the line. They don’t want any surprises. The more you can show them exactly what they’re going to get, the more comfortable they’re going to feel. The more likely they’re going to work with you. You have two resources for everyone that have never been available for free. It’s only for people who have hired you as a consultant. One is called the Unstoppable eBook. Tell us what we will find in there. That’s something that is fairly new and as I mentioned, I’ve been in this industry twenty years going on just celebrated fifteen years. I’m the Founder of The Speakers Group. If you’ve been doing anything for that long, there are going to be lots of twists and turns and ups and downs. That’s one thing that I’ve found from both on the personal side and professional side going through different challenges, but I’m still standing. One thing I can say is I’m unstoppable. I’ve been unstoppable and that’s true. In that eBook, I share a little bit of my story and just some of the key lessons I’ve learned along the way. I’m so grateful to have learned that and it allowed me to rise up and keep moving forward to be here this long. I hope that will be a great resource. If somebody maybe is struggling with uncertainty or change or whatever it may be, just have a quick jolt of inspiration there. This mindset is the foundation for everything you do, no matter what your career is. You have some insights and proof that what you’ve done has not stopped you from being successful and happy. Most people think sometimes it’s mutually exclusive or you can’t have them both at the same time. You have shown people how to have both. You also have something that’s a positioning worksheet. What is that, Shawn? How can people learn how to position themselves better no matter what they’re doing? That is a tool that I’ve only shared with my coaching and consulting clients in the past. I wanted to offer it to your audience because it ties in with this pitch themed conversation. It’s a tool I use with speakers to help them get clear on who do they serve, how do they help them, why do they help them. That ties into your story because you know very well why do you do this. Whatever we do, we don’t have to do this. We could go do something else. If you uncover why you do it, it’s good for us to know. It can help in your marketing. What happens if they don’t work with you? Why is their life going to be better if they do work with you? It’s designed for speakers, but it can be adapted for anyone leading them through this process that I go through with speakers. It’ll help them with their positioning and branding to uncover what’s unique about them. It’s a quick little worksheet, that I hope will give people some good insight and yield some good outcomes that they can use in their own marketing and pitching. People can find that at ShawnEllis.com/Pitch. Shawn, any last thoughts of inspiration or ideas that you want to share? John, thanks again for having me. This has been an interesting conversation. Going back to that trust factor, one thing that came to mind is something that a speaker did one time that helped to gain my trust. When I get to see you live, that’s great but that’s not always possible. One time I came to him with an opportunity and I said, “Here’s what the client’s looking for. Here’s what they’re doing.” He responded back and said, “That’s not the best fit for me. That’s not where I’m at my best.” That brought my respect and trust to a whole other level because now all of a sudden, I know, “He’s not going to say yes to anything I bring to him.” If somebody says yes to everything, that’s what scares me. That gets back to knowing who you are and trusting yourself that, “You don’t have to say yes to every opportunity that’s out there. There is an abundance of right opportunities for you.” Be willing to say no to things. That’s going to help people like me trust you that much more. You put yourself in positions where you know you can thrive and succeed. The results of that are going to be so much better. That’s just one extra thing I would throw in there. Who we say no to and what we say no to is more important than who we say yes to. For example, if you asked me, “Would you like to speak to a group of CPAs about how to work their optimization and depreciation of their assets?” I would say, “No, thank you.” It’s not just a way to lead your life but a way to build trust. I’ve never heard anybody use that as an indicator of how to build trust, so that’s such a great takeaway. Thank you so much, Shawn. 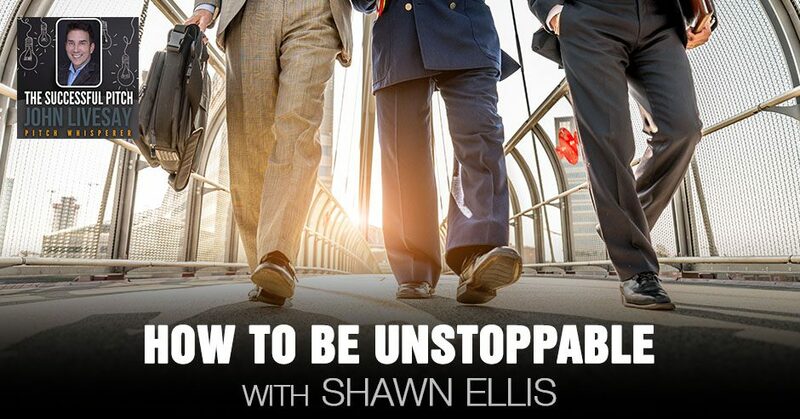 It’s ShawnEllis.com/pitch to get his free resources of the Unstoppable eBook and the positioning worksheet that will help you in every area of your life.